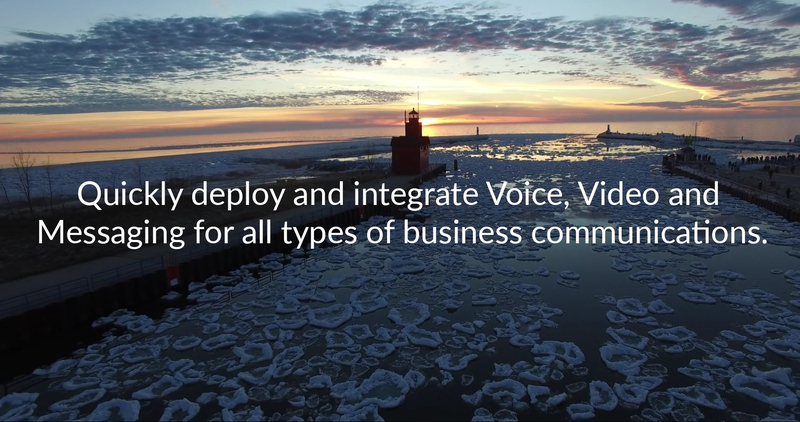 Quickly deploy and integrate Voice, Video, and Messaging for all types of business workflows. VanBelkum provides managed hosted voice, video and messaging applications for business. We have been helping clients with advanced networking since the mid 90’s and we are networking people at the core. Our team’s experience​ with​ providing professional services, cloud computing, Internet service providers, networking, business phone systems, video, and Internet of Things (IoT) makes us uniquely qualified to help your organization with this important part of your business operation. We have been supporting clients since 1959. Forget the past, Voice is data. The expectation is that your business phone system should simply work. It should. We make sure it does. Always. But today, business communication involves much more than phone system hardware and software. It requires a communications platform that seamlessly integrates voice, video, messaging, and data across devices and locations. We design, engineer, procure, implement, monitor, maintain, integrate, and adapt the best communication platform to meet your needs. VanBelkum’s managed service solutions make it affordable and allow your organization to focus on what you do best. Video built for the Cloud. Video technology can transform your existing business processes. Benefits from implementing video solutions include increased employee productivity & operational awareness, enhanced collaboration, compliance, and employee safety. Video can also be used to communicate better with clients, prospects and vendor partners. Is cloud video better than on-site? How can I use mobile monitoring or remote video surveillance? What if I have multiple locations? What’s the best equipment & software for my business? How do I really secure my video system? What about access for remote employees? Does bandwidth matter? Can I do it myself? Not tech-savvy? Don’t worry. We can educate and consult you on how video may best help your organization. If you are video tech-savvy, you will appreciate that VanBelkum’s video services use secure cloud computing, open standards, software defined networking, and API’s for a flexible, scalable, and supported solution. In either case, our experience with Managed Video Services will help you implement video in your business. As communications continue to evolve, we continue to develop new solutions to help your team communicate and collaborate more effectively. By combining proven cloud services, custom development, and VanBelkum approved on-premise hardware, we are able to deliver exceptional applications that will increase your company’s performance in every aspect. We’ve developed and integrated many technology solutions for various industries. VanBelkum understands that technology is a moving target. By continuously leveraging the knowledge of our customers and encouraging a high level of collaboration between our IT professionals and software developers, we are able to integrate, build, and deliver the best managed communication solutions for our clients. Our off-site lab, effective use of collaboration tools (like #slack), and our regularly scheduled DevOps meetings allow the team to push the envelope, ask “why?”, be disruptive, and figure out how to deal with what’s coming next. When searching for an Internet provider for your business, you will quickly become bogged down by tech jargon and what seems like too many options. Understanding your options is an unreasonable expectation, as technology has become too complex. At VanBelkum, we work with this technology every day and are able to communicate your options in layman’s terms, making your decision much simpler. We are adaptable, making your decision practical throughout the years, as your business changes. Internet Access must always be available. Slow is Broken. Security has changed due to billions of Internet, smartphone, and smart device users worldwide. A 10,000 times increase in cyber threats and increased occurrences of cybercrime have also changed the risk and cost of the security landscape. Public Cloud Computing (AWS, Azure, Google Cloud) and SaaS (Salesforce.com, Slack, etc.) adoption is also increasing rapidly and contributing to the change. A Managed Network from VanBelkum will ensure that your business is up and running at its peak performance.